Are you asked to create essays on Night?Have absolutely no idea where to start? No need to worry! We will guide you through a few simple steps that will lead you to the top-notch paper. In fact, your essay will look like a brief review. The main purpose of literature essays is obvious – this kind of paper helps the potential readers decide whether to read the book or not. Without it, the publishing industry can’t exist properly. Generally, a review is called to present a deep analysis of the content and provide arguments to support your point of view concerning the particular book. At the first stage of producing a literature essay, try to learn general information about the book. To do it right, you can look through the book cover. Besides, it is important to find some facts about author’s life from the biography and determine his writing style. This background will give you a better understanding of the book during reading. For example, if you are creating a paper on Night by Elie Wiesel, you should take into account that he was known as a French-American writer. What is more important, Wiesel’s works were focused on covering the Jewish themes. The author wrote about his own experiences at concentration camps during the World War II from the childhood and the effect it had on him. Every A-student knows for sure that the key to the successful literature essay is taking notes during reading. Writing down your thoughts and short quotes will help you keep in mind all details that are relevant to your future review. For your convenience, you can mark needed fragments with colorful post-it notes directly in the book. After reading, the analyzing is coming. At this stage, you have to determine the central theme of the book. What is the focus of the story? Do you agree with the author? Use the quotes to support your opinion and arguments effectively. What about the book Night, it tells the story of the Jewish nation that was torn out of their homes and killed because of Nazism. In fact, those people were innocent victims who were dishonored for no reason other than they were Jews. The book revolves around the acts of stereotyping and discrimination. And the writer showed it in details as he was the witness to these tragical events of the war and Holocaust. 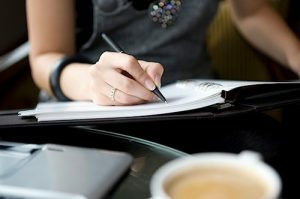 Every compelling literature essay begins with a summary of the book and ends with a paragraph that conveys your point of view concerning the topic. So, once your get down to working on the paper, introduce the book to readers so that they can understand what it is about. Shortly discuss the main idea of the story but don’t overload your essay with too many details. Remember that the primary purpose of your article is to examine the work of literature and represent your opinion supported by facts and arguments. Therefore, your piece of writing should have a thesis statement in the introduction and several paragraphs that grow systematically out of this central idea. Pretend that you haven’t read the chosen book yet and reread your essay one more time from the viewpoint of the average reader. Pay special attention to the structure as it has to be clear and logical. Double check the content for grammar, spelling and punctuation mistakes. That’s it! Your excellent literature essay is ready. Take into account that this kind of writing assignment requires strong organization and control. Thus, you should have enough time to complete this task according to professor’s instructions, especially if you are working on such a serious piece of writing as Night. But what to do when you have no time to compose content properly? We have a quick and efficient solution! Here at our writing service, you have an excellent opportunity to order professional writing assistance from the best experts in the industry. It is super simple, fast and affordable. Once you have problems with writing, feel free to contact our support team via phone, email or live chat. Our representatives will promptly find the best academic writer to work on your project.